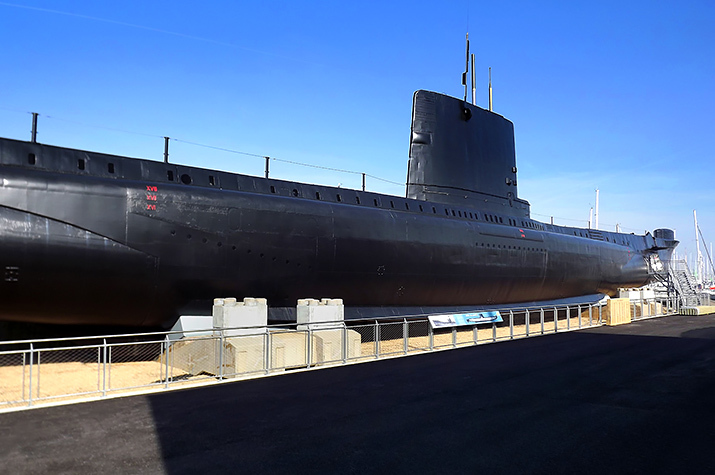 HMS Alliance, a restored World War II era submarine has re-opened to the public. The submarine was active from the 1940s to 1970s and DJW has helped to make visitors feel like the crew have just stepped ashore. 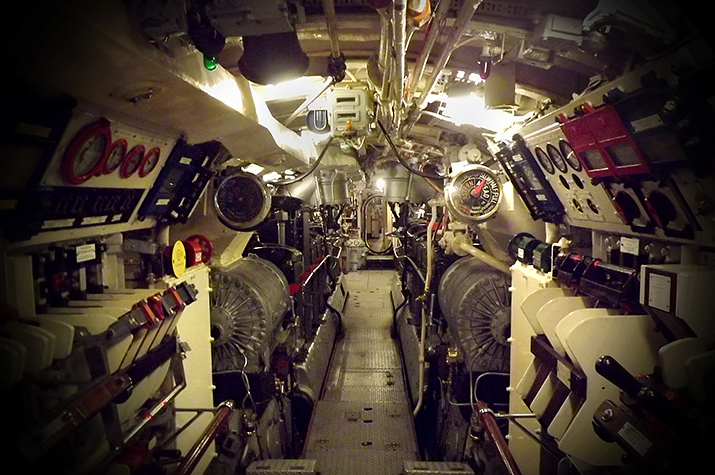 Audio installed by DJW throughout the submarine gives all the sounds of the submarine, from the snoring of off-shift submariners, to the loud noise of the engine room – complete with being able to feel the rumble of the engine vibrations. 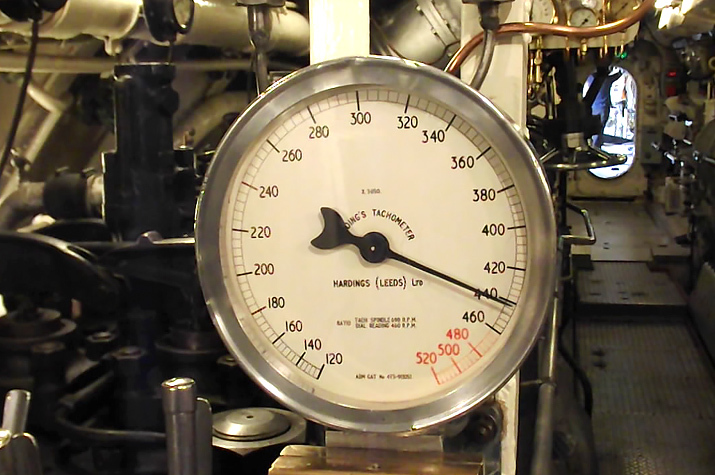 Around 20 of the actual submarine gauges, firing panels, warning lights, depth indicators, and more have been re-animated so that the indicators move and lights change. This involved going into the original electronics of the submarine equipment, and converting it to AV controlled operation. These effects are triggered by visitors walking through under standard operation, but when a tour is being run by a submariner, or staff member, they can trigger special situations, and a diving scenario. These triggers are well hidden, or use submarine equipment already present. veryone knows that there is little spare space on a submarine and DJW found this to be the case – carefully hiding speakers, triggers and source equipment so that it can’t be seen, was a challenge. Doing it successfully means that the visitor is never taken out of the feeling of the real submarine. DJW hid speakers, audio sources and amplifiers and cabling in this tightly packed submarine. 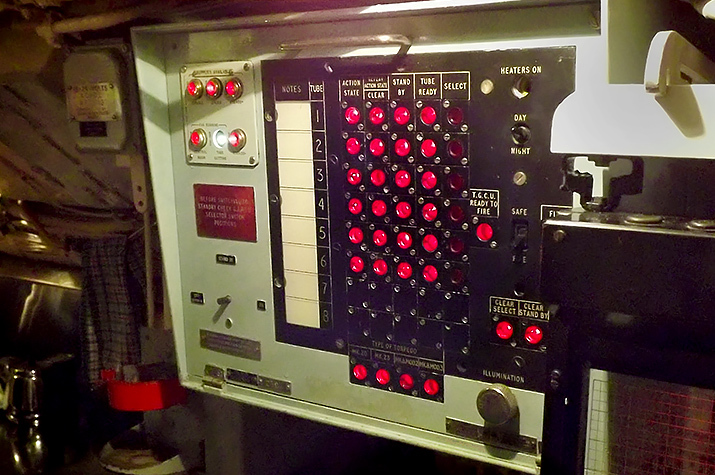 Dials were ‘re-animated’ to move and change, giving a real feeling of being on an operating submarine. 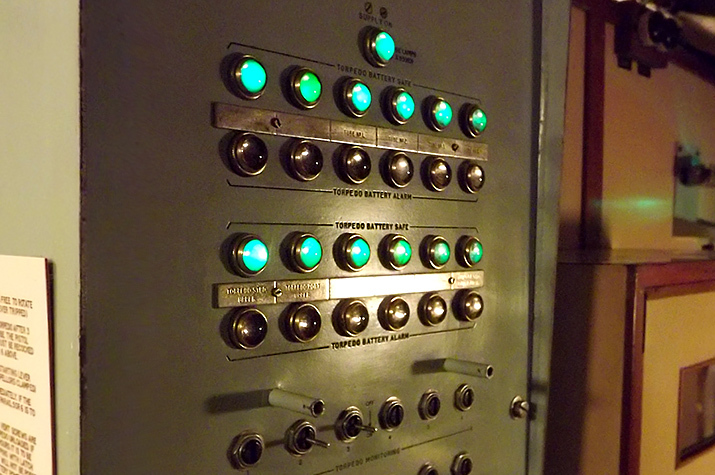 Indicator lights also had bulbs changed and systems re-wired so that DJW could control them. 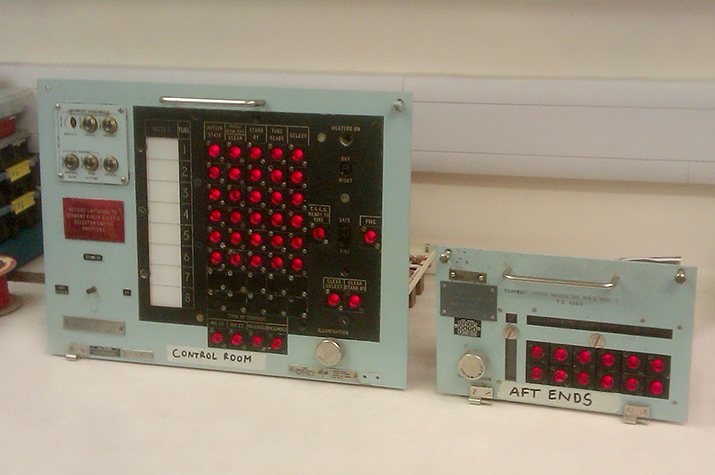 Some of the many lights now controlled by DJW’s show control, here mid-‘re-animation’. The control lights add to the audio to get visitors as close to the real experience as possible.